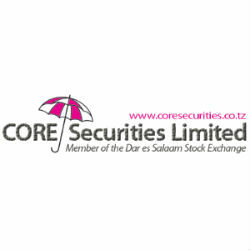 According to CORE Securities, named East Africa Best Advisory Brokerage by Capital Finance International, the Dar Es Salaam Stock Exchange total turnover during the week ending August 22nd 2014 increased +128% to TZS 54,28.14 milion from TZS 23,739.31 milion the previous week. On Friday 29th August 2014 TSI closed at 4,357.04 (+2.02%), IA closed at 5,574.01 (+4.49%) and BI closed at 3,605.65 (-0.20%) points. On Friday 29nd August 2014 1USD=TZS 1,660.57 (+0.08%) compared to 1,659.14 a week earlier. On Friday 29nd August 2014 Closing Spot Price was TZS 68,875.96 per gram (+0.41%) compared to TZS 68,594.82 a week earlier.